New enclosed vertical storage cabinets from Eagle MHC are specially designed for critical manufacturing, assembly and storage areas where products and components need to be securely stored in a dust-and dirt-free environment. Clayton, DE (PRWEB) September 17, 2007 Â New enclosed vertical storage cabinets from Eagle MHC are specially designed for critical manufacturing, assembly and storage areas where products and components need to be securely stored in a dust- and dirt-free environment. 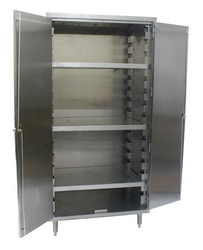 EagleÂs NSF-approved vertical storage cabinets feature a chemically resistant, easy-to-clean stainless steel exterior. The cabinet body is made of 18-gauge stainless steel, with interior stainless steel shelves adjustable on 4-inch vertical increments. 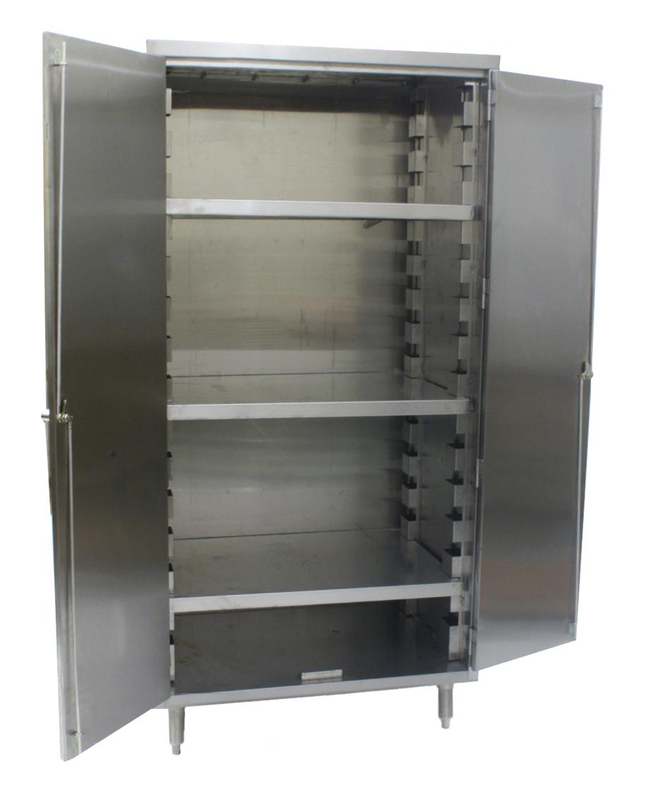 Double-pan, 20-gauge stainless steel-hinged key-locking doors provide long-life durability, along with secure, dust-free protection of all cabinet contents. 5-inch plate casters and brakes, so that the shelving unit can be moved easily from one location to another without needing to remove the merchandise during transport. Eagle MHCÂs enclosed vertical storage cabinets are 72 inches high, and are offered in 36- and 48-inch lengths. Custom sizes are also available upon request. For more details on these cabinets or other material handling equipment for clean environments, contact Lynda Donavan (ext. 3027) with sales inquiries, or EagleÂs Marketing Department (Ext. 3129) with inquiries pertaining to marketing support. Tel. (800) 637-5100 or (302) 653-3000.